English-Spanish bilingual editions of titles in Free Spirit's popular Best Behavior series. 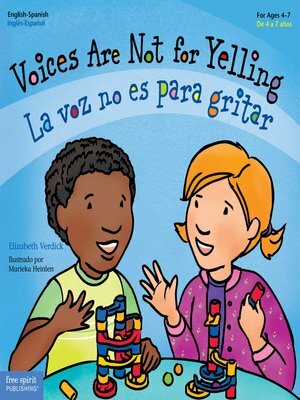 This friendly, encouraging bilingual English-Spanish book introduces and reinforces where and when to use an "indoor voice" or an "outdoor voice." Vivid illustrations teach children the times and places for an indoor voice, the ways people ask us to quiet our voices, and how to use our words to talk about a problem. Includes a section for parents and caregivers in both languages.